QUETTA/BANNU: The run up to the elections 2018 is getting bloodier day by day, as only a few days after the martyrdom of 22 people, including ANP’s electoral candidate Haroon Bilour, in Peshawar, two deadly bombings rattled rallies in Mastung and Bannu on Friday, killing at least 134 people and injuring scores of others. Though these bombings doesn’t come as a surprise as the National Counter Terrorism Authority (NACTA) had already warned of election-related violence ahead of the polls and suggested enhanced security for the electoral candidates, but the governments, provincial and federal, have ostensibly failed to grasp the gravity of the threats. A province already scarred with violence, Balochistan witnessed a bloodbath when a suicide bomber, carrying at least 15kg of explosives, struck a Balochistan Awami Party (BAP) election rally in Mastung, martyring PB-35 candidate and former Balochistan chief minister Nawab Aslam Raisani, Nawabzada Siraj Raisani, and 85 others. The toll is expected to rise as several of those injured are stated to be in critical condition. The ultraviolent Islamic State or Daish terror outfit claimed responsibility for the deadly attack in a short statement. As per Election Act 2017, the Election Commission of Pakistan (ECP) has postponed polling for the PB-35 constituency. The Clause 73 (1) of the Elections Act 2017 states that “if a contesting candidate dies before the commencement of the polls or during polling hours, the returning officer shall, by public notice, terminate proceedings relating to the elections. BAP was formed in March this year after the ouster of the PML-N-led coalition government in Balochistan. Siraj had merged his own party, the Balochistan Muttahida Mahaz (BMM), with BAP in June. 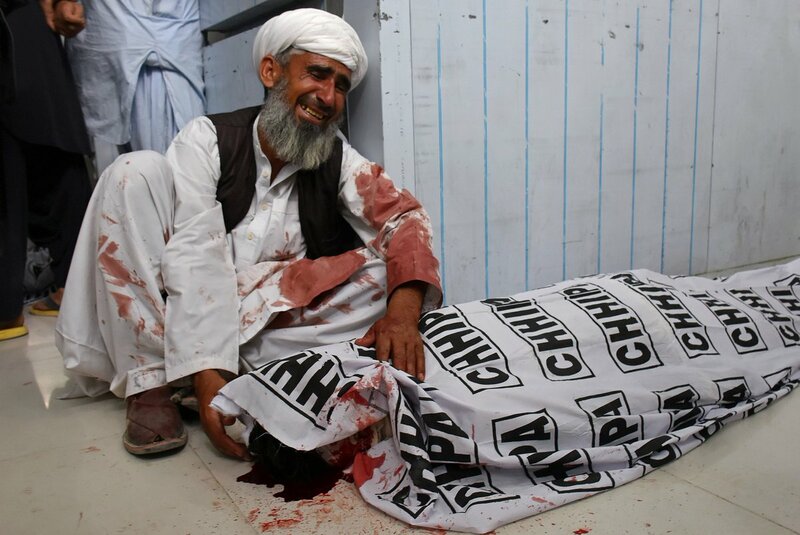 Siraj’s teenage son, Akmal Raisani, had also been killed in an attack during a football match in the same district in 2011. 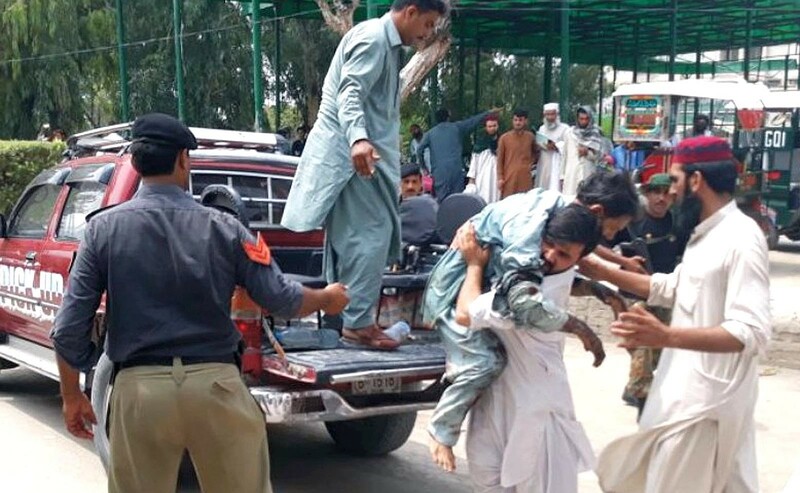 Earlier in the day, at least four people were killed and 32 others were injured in a bomb blast near the convoy of former Khyber Pakhtunkhwa chief minister Akram Khan Durrani in Bannu. The former chief minister, whose name is in the list forwarded to the Interior Ministry by NACTA, was leaving a corner meeting when an improvised explosive device (IED) planted in a motorcycle some 50 metres away from the venue went off. Durrani, the JUI-F central general secretary, is contesting for the upcoming polls from the Muttahida Majlis-e-Amal (MMA) platform, against Pakistan Tehreek-e-Insaf (PTI) Chairman Imran Khan. The injured – that included three policemen as well— were rushed to Khalifa Gul Nawaz Hospital and a large contingent of law-enforcers reached the site of the incident. In a video message released hours after the attack, Durrani reminisced that this was second incident targeting him. “We were intimated that there are threats but we remain unaware about the forces that have threatened us. There were media reports that I am unsafe, I would like to ask media if they know about the threats then please reveal identity of those behind the threats,” he said. The deadly attacks were condemned by President Mamnoon Hussain, Interim Prime Minister Nasirul Mulk, Army chief General Qamar Javed Bajwa, caretaker chief ministers of all provinces among other political leaders. Strongly condemning the terrorist attack on Durrani, Pakistan Tehreek-e-Insaf (PTI) chief Imran Khan expressed sorrow over the loss of precious lives. Imran expressed satisfaction on the safety of his rival candidate, and stressed that lapses in the security of election candidates should not occur. Pakistan People’s Party (PPP) Chairman Bilawal Bhutto-Zardari demanded that the security of contesting candidates be ensured.